Calling all Parrotheads! Jiffy Lube Live&apos;s 2018 Summer concert series wouldn&apos;t be complete without a visit to Margaritaville. Coming to you live on August 4th, is Jimmy Buffett! So grab your Hawaiian shirts, parrot hats, grass skirts and beach vibes to experience all the pre and post-concert Parrothead offerings that Prince William has to offer! 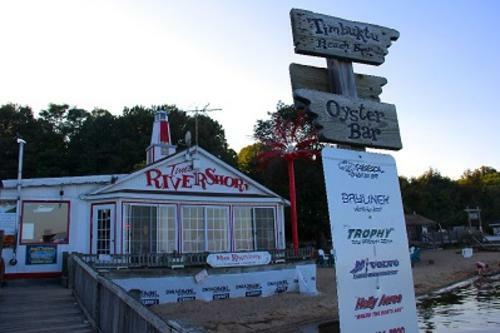 Tim&apos;s Rivershore is home to beach vibes, good times, crabs and an even better view! 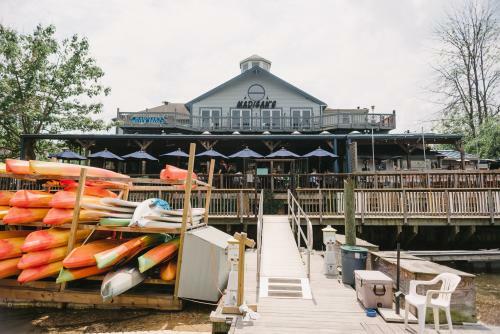 Located along the Potomac River Tim&apos;s Rivershore provides a unique atmosphere certain to make you feel like you are in a Jimmy Buffett music video! Perfect for a pre-concert meal and relaxing drink at the tiki bar to start your night off right! 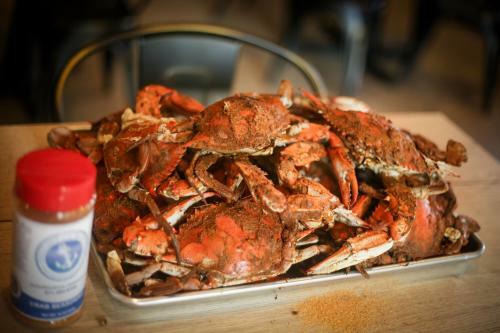 Step Out of the Blue and into the Margaritaville mindset with all you can eat crabs, shrimp, lobster, salmon and so much more at Out of the Blue Crabs & Seafood. Sit back, relax and enjoy a cocktail or two before enjoying the concert of a lifetime! Start the beach vibes early at Blue Ridge Seafood with baskets of delicious seafood straight from the sea! 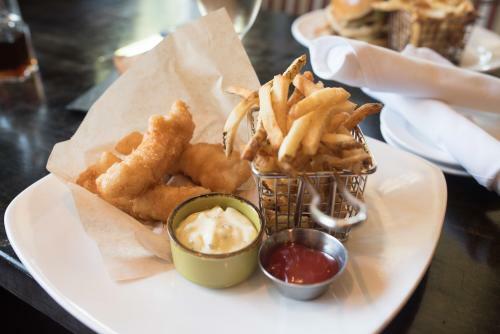 Whether you want fried clams, crab legs, shrimp tacos, homemade desserts or salads; Blue Ridge has it all! 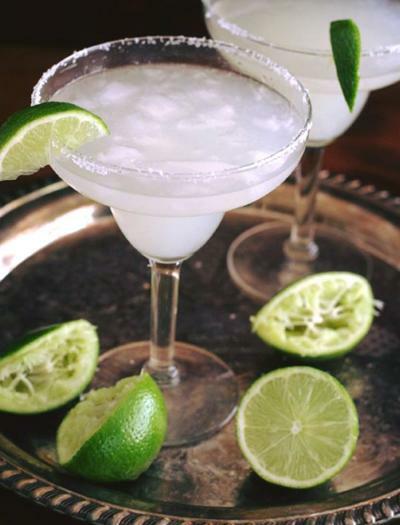 Perfect for pre-concert dinner to unwind with friends and family before dancing the night away in Margaritaville. Located directly on the water this iconic building includes patio seating, a topside tiki bar and a topside deck overlooking the water. 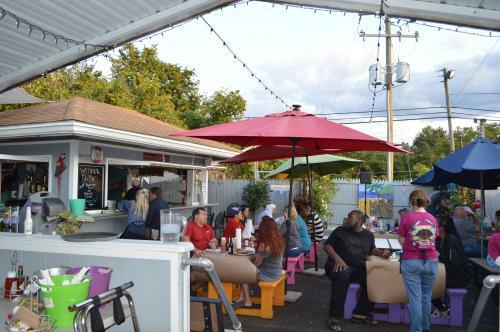 Madigan&apos;s Waterfront is one of the "must do" things in Historic Occoquan. With delicious seafood and a unique atmosphere, you won&apos;t want to leave! Tired of seafood? No problem! Grafton Street Restaurant & Pub is home to craft beer, burgers, steaks, and more! Grab a cold beer with friends before heading over to Jiffy Lube Live conveniently located down the street. Great food, great beer and great memories all at Grafton Street! Calling all Parrotheads! Club Eclipse is hosting a pre-concert Parrothead party just for you! Located only a block away from Jiffy Lube Live is the pre-party of the summer! Dance and sing with a cocktail in hand alongside fellow fans jamming out to Tim Campbell and the Tropical Attitude Band before jamming out to the man himself! Love beer and Jimmy Buffett? Tin Cannon has you covered! Available starting August 4th, is a Margaritaville-inspired beer, Parrot Head, perfect for summer nights and dancing to Jimmy Buffett! 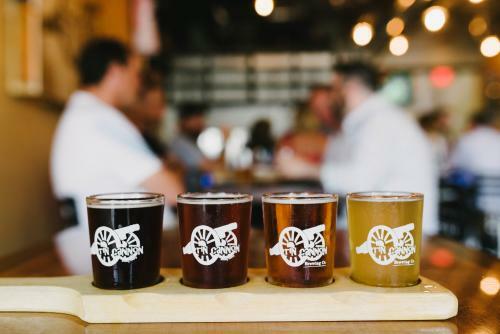 Tin Cannon is one of several brewery stops along the Steins Vines and Moonshine Trail in Prince William, VA.
Summer concerts mean picnics on the lawn with fellow Parrotheads at Jiffy Lube Live. Stop by Murlarkey Distilled Spirits on your way and pick up a tailgating package equipped with picnic food and a spirit of your choice. 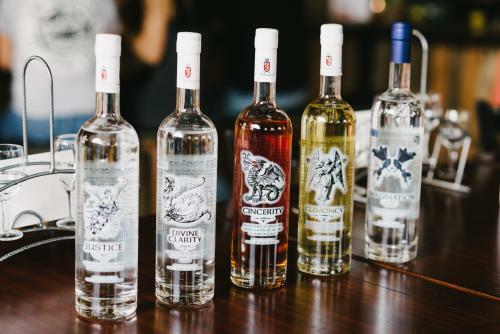 Stop in and taste one of the many spirits distilled on location along the Steins Vines and Moonshine Trail! 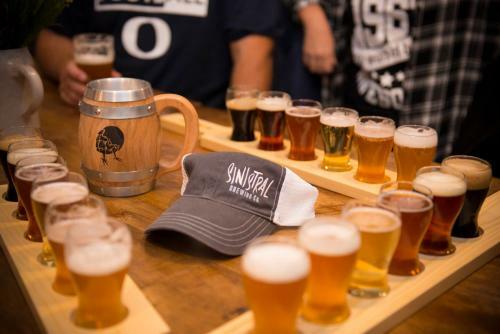 Grab your parrot hats, grass skirts and dancing shoes for Sinistral in paradise! Featuring live music, games, craft beers, cheeseburgers, and beer-garitas you won&apos;t want to be anywhere else before the show! Party with fellow Parrotheads on the Steins Vines and Moonshine trail.